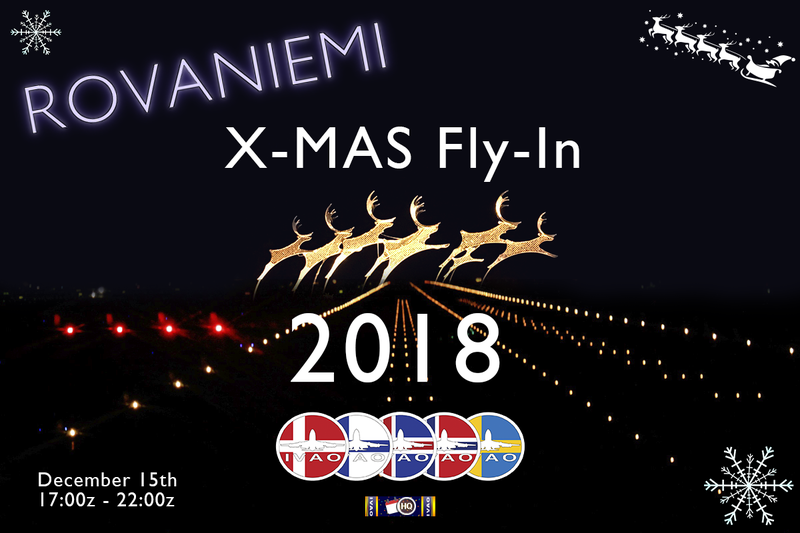 IVAO Nordic Region is proud to announce the Annual Rovaniemi X-Mas Fly-In. as a massive amount of flights from all over the world will arrive here on that evening. are looking forward to guiding all this incoming traffic in a safe and professional manner to Rovaniemi. Pilots are expected to have read the pilot briefing, have their Airac updated and charts on board. And since we expect a lot of traffic, make sure to bring some additional ho-ho-holding fuel! We look forward to see you in the Nordic skies! Want to join in as controller? You only can express your availability; an ATC roster for this event will be made by the ATC Ops Department. You must to sign up before December 8th 2018 2359z. We are to integrate the IVAO Events HQ Award in this event, so get your wings down here and help out making the event a great success!